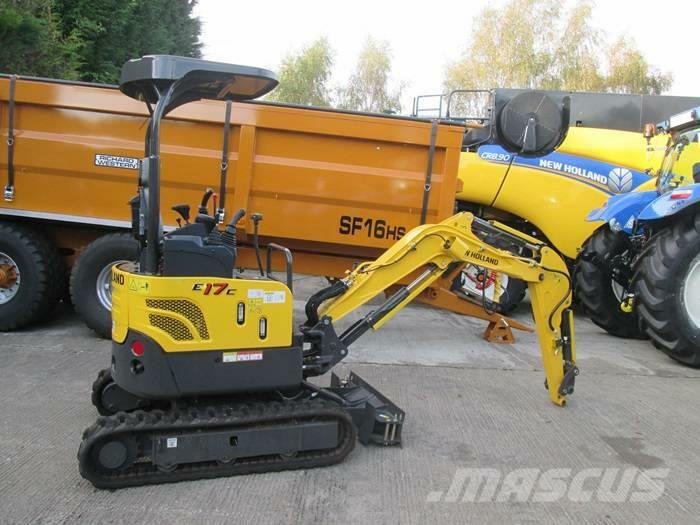 Øvrige oplysninger Used New Holland E17C Mini Digger complete with Canopy. Rubber Tracks, Long Arm, Standard Counterwight,1st Aux-2 Way Pedal,Beacon.Zero tail swing. Max.digging depth 2350mm. Variable track widths from 980-1300mm. For more information please call Graham Cannon for more details on 07970 805361.